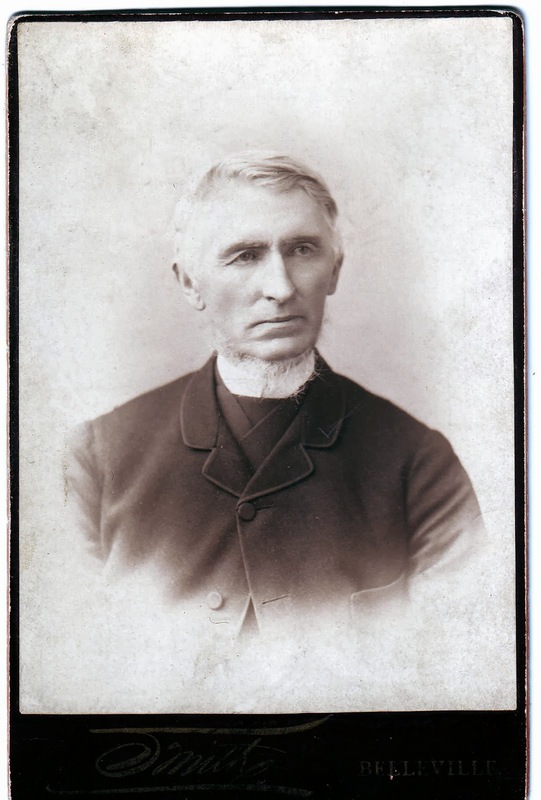 James Drummond Forrester, born Forfar, Scotland, 1823, died Winnipeg, Manitoba, 1904. Slipped into the back of the photo album I inherited from my father was a picture of a serious-looking gentleman man with silver hair. Although his name, James Drummond Forrester, was on the back, I had only a vague idea who he was. Many years later, I discovered he was my great-great-grandfather, and a distant cousin sent me a photo of his wife, Janet MacFarlane. I learned that James and Janet had both emigrated with their families from Scotland when they were children, and they had grown up on neighbouring farms near Belleville, Ontario. They married around 1850, lived on the farm that James inherited from his parents and raised seven children of their own. Thirty years later, they immigrated again, this time to Canada’s western prairies. Good land was becoming scarce and expensive in the Belleville area, while the North West was just opening up to settlement, so they sold the farm in Ontario and started over. Both were in their mid-50s at the time. The decision was no doubt a good one in the long term, but it wasn’t easy. James bought land in the Aux Marais district of Manitoba, south of Winnipeg, during a period of real estate speculation and high prices. In 1884, when he could not sell his oats for a good price and frost ruined some of his wheat, he had to request an extension of his mortgage. Shortly after they moved, their eldest daughter, Christina, who had married and stayed in Ontario, died in childbirth. James and Janet brought the baby to Manitoba and raised her themselves. Lillian Forrester, who eventually became my grandmother, was very close to Janet, who was her grandmother, and she loved to listen to stories about Janet’s life. Lillian shared some of those memories with her cousin Charles Forrester, who incorporated them into an article. 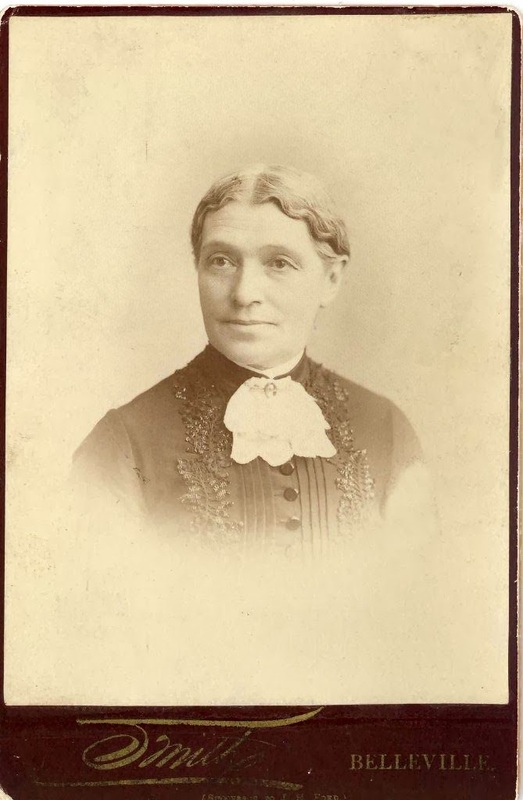 Janet MacFarlane, born Clunie Parish, Scotland, 1825, died Aux Marais district, Manitoba, 1901. When James and Janet Forrester celebrated their golden wedding anniversary in 1900, the whole family attended the party. After Janet’s death in 1901, James moved in with his son Donald in Winnipeg. James died in 1904. Both are buried in Emerson, Manitoba, a few miles from their farm. Research Remarks: The historical atlas of the counties of Hastings and Prince Edward, Ontario, first published in 1878, listed James Forrester, farmer, from Forfarshire, Scotland, with 100 acres on Concession III, lot 20, and 99 acres on Concession II, lot 22, Melrose, Ontario. A searchable database based on this series of atlases (http://digital.library.mcgill.ca/countyatlas) may be useful to anyone with ancestors in rural Ontario. The original book form of the atlas was also valued by the Forresters. It included a drawing, done by a travelling artist, of their farmhouse in Ontario. Grandson Charles Forrester recalled that, after the move to Manitoba, that atlas became a prized family possession. Photo of Janet Forrester courtesy of Ruth Breckman.